A powerful cognac with a long aftertaste. Complex but smooth. 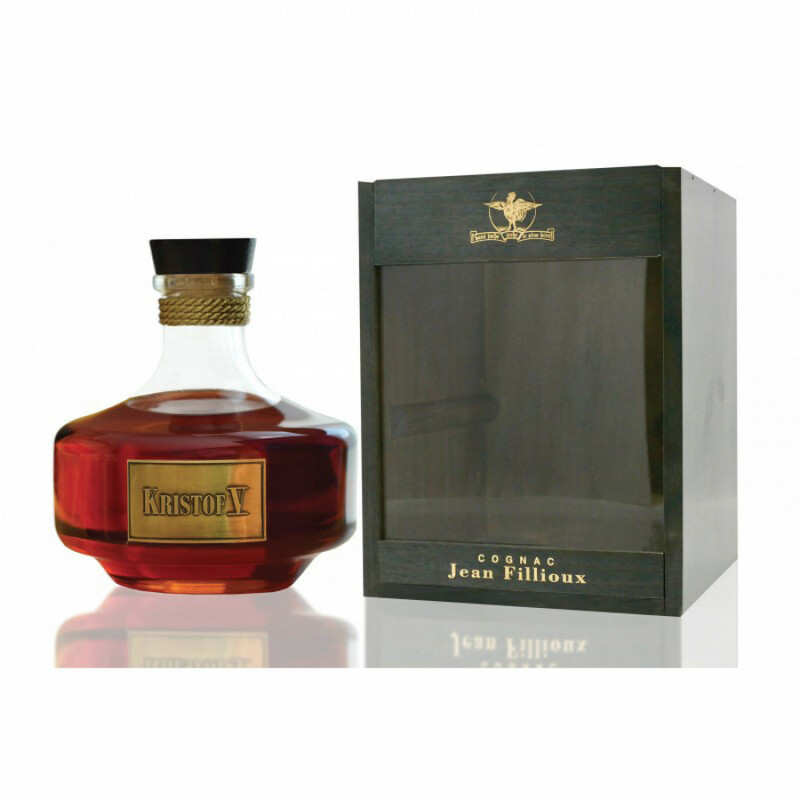 The Jean Fillioux Kristof V Limited Cognac is a truly special offering. This is an Hors d'Age Cognac to mark Christophe Filloux taking over of the revered position of Cellar Master from his father after 12 years of rigorous training. Two years ago he took over the reins. To celebrate this occasion he presents his firsst solo creation - a limited edition of only 500 carafes. We have to say, it's a beautiful creation. It offers a surprisingly rustic aromatic taste experience, and the decanter is defintitely one that deserves to take an honored position in any Cognac or fine liquor collection. Made solely from Grande Champagne eaux-de-vie, it's a slightly overproof offering of 43%. Ideal to enjoy neat, or for the adventurous, drop in a couple of blocks of ice to reveal a subtle difference in the taste experience. A wonderful Cognac that would make a superb present for any lover of fine Cognacs.